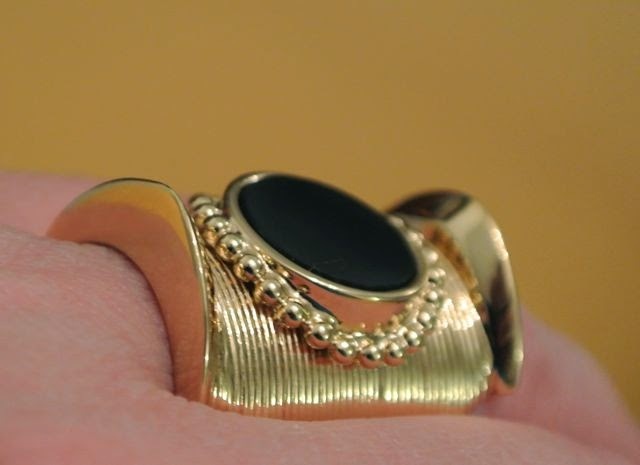 I'm allowing myself fifteen fashion item purchases this year - the whole year, and only fifteen. My first purchase was made on January 1st. There was 364 days and only fourteen items left! 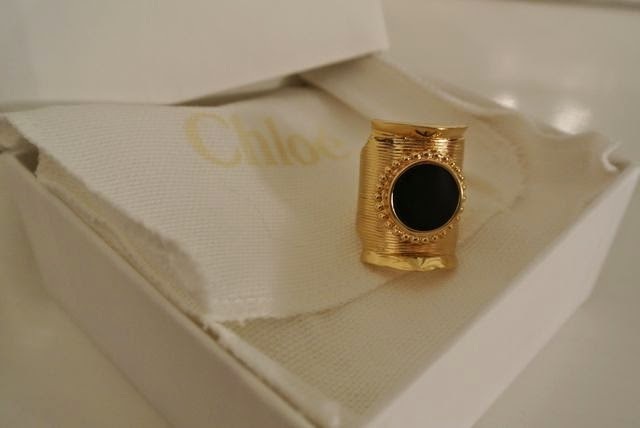 But this is something I've been wanting since August when I first saw it at Nathalie Schuterman in Stockholm: Chloé onyx ring. Yes, I thought it was sold out at Matchesfashion.com but it turned out that the next day it was not on sale anymore. But at nathalieschuterman.com it generously was. I slept a good night or two on it and decided it was worth the investment. 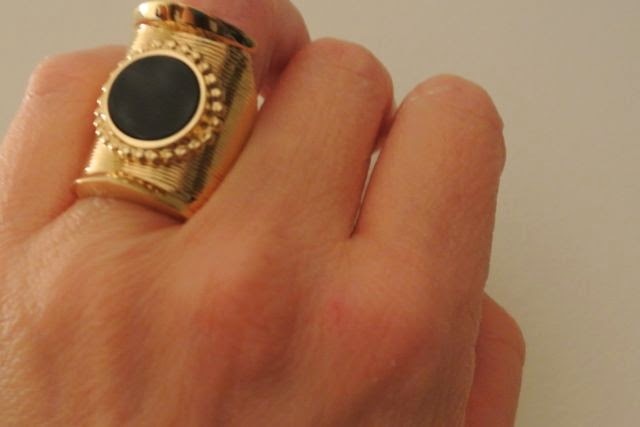 The ring arrived on Thursday, delivered by FedEx, and it will compliment all my New York outfits later this month.